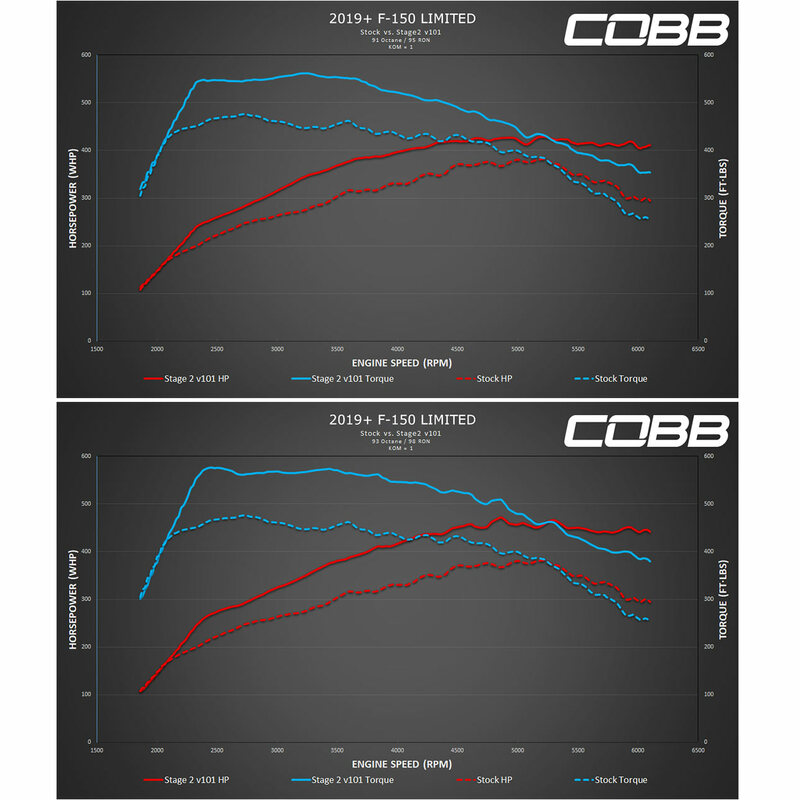 COBB FOR0050020SL Power Package Stage 2 Silver F-150 Raptor 2017-2018 – Apollo Optics, Inc. The COBB Intake for the second generation Ford Raptor checks every box that enthusiasts expect from a high-quality bolt on upgrade. The factory piping from the air-box is replaced with dual 3" mandrel bent aluminum tubing to maximize airflow while custom silicone couplers ensure perfect OEM-like fitment. The COBB Front Mount Intercooler (FMIC) for your F-150 Raptor is the easiest way to drastically improve power when coupled with tuning from the V3 Accessport. The much larger 24" wide x 14" tall x 3.5" thick core produces a significant volume increase compared to stock, resulting in minimal pressure drop despite the significant increase in size. Straight forward installation requires minor trimming on the back side of the grille and maintains the factory Adaptive Cruise Control bracket when using the stock bumper. The Stage 2 Power Package includes the V3 Accessport, Intake System, Front Mount Intercooler (Silver) and COBB Vehicle Badge for Ford F-150 Raptor! Use your PC or Mac to manage maps, download recorded datalogs, or quickly update your Accessport. Download free from right HERE.